The Group Rep presents Edward Albee's The American Dream. The play is directed and produced by Alyson York and runs March 14 - April 12, 2015. This hilarious satire explores the dysfunction of the American family in a startling tale that rocks middle-class ethics and reveals the absurdity of what was considered America's status quo fifty years ago. The cast includes the talents of Linda Alznauer, Christina Carson, Renee Gorsey, Andre Jack, and Michael Robb. The show plays Saturday matinees at 2:00 pm and Sunday evenings at 7:00 pm. Tickets: $15. To purchase or for more information, visit www.thegrouprep.com or call (818) 763-5990. 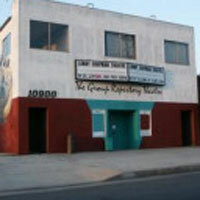 The Lonny Chapman Theatre is located at 10900 Burbank Blvd. North Hollywood, 91601.